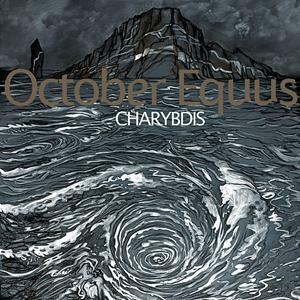 The third album by October Equus, released in 2008 is named after Charybdis, daughter of Gaia and Poseidon that was turned into a sea monster by Zeus. If one looks at the title of the tracks on the album, he'll notice that mythological and nautical themes are at use here. This album was released through the RAIG label, who has been delivering intriguing and captivating experimental and avant- rock albums in the last years. It is therefore very fitting that Spanish band October Equus release their album through this label as this is a spectacular example of boundary breaking rock. Starting in your face with the first track Architeuthis Dux, the band mixes great zeuhlish and symphonic elements in the form of heavy thumping rhythm and rich and lush keyboards sound, respectively. This tune and most others in the album carry a feel of atonality, a whimsy approach and a "typical" RIO- esque and to lesser extent zeuhl-ish characteristics reminiscent of the way other avant-rock and chamber rock bands play (the music and sound of Univers Zero, Far Corner and Yugen come to mind among others). There are also a jazzy element woven into this mix and all of these together make this a fantastic and thrilling album. The opening track in particular is a great example of that with its high energy level and even bombastic quality. Strong jazzy and zeuhl-ish feel and elements are present in the second track Frozen Sea as well. Composed of a slow and somewhat sludgy, dirty sound and rhythm yet powerful, this track portrays well how, much like the short fast segment in its midst that quickly dissipates back to the original sluggish pace, a sea can shift from being stormy and agitated to being frozen and still. This album seems to be more daring, more bombastic in approach than its predecessor, keeping in the same path, but expanding on it, making their sound broader, fuller, richer and much more appealing even. There's an orchestral feel in the album that was not there in the previous s/t album from 2006. However, like in their previous album, the Univers Zero universe of sound seem to still function as a source of inspiration, as a guiding element, though, as I mentioned above, they expand on it, adding new elements to their overall sound to have it more majestic-like; with the orchestration aspect, the chamber-rock feel with the fusion elements and the use of zeuhl-ish pounding rhythms and energy, the band achieves a new level, a new construction of style and sound and make this album better than previous efforts. This album not only mixes styles wonderfully, it sounds as rich and plentiful as the number of influences it encompasses. There is terrific musicianship here, and you can clearly hear all the instruments, and make out how wonderful the play is. For instance the gorgeous keyboards in Architeuthis Dux, the powerful bass in Fata Morgana and the enchanting saxophone in the title track, Charybdis. A good example of how the band works together very well is given with the brilliant chaotic track Forgotten Sirens with its entrancing rhythm. This album puts emphasis on both attractive tunes and on various moods and atmospheres it creates; in this aspect there's a good balance as some tracks focus more on one (Architeuthis Dux and Trylobites with their relative catchiness) while others on the latter (the appropriately named Abyssal for instance, which focuses on creating a chilling atmosphere). With 11 tracks culminating at around 46 minutes, this is not an exhausting listen at all and in fact could have used perhaps a few more minutes. In fact, the closing track, Helgoland, could have been prolonged and given a better closure, which as it is feels to me a bit missed. As I was listening to this album, I got to think about Panzerpappa and their album Koralrevens Klagesang. I did so because like October Equus, Panzerpappa too got much of their influence and inspiration (as I hear it) from (among others) Univers Zero and their ilk of chamber and avant-rock. But, if Panzerpappa took that influence into their particular niche of positive and frisky style creating thus their own sound, October Equus in this album do a similar thing, only in a different direction, building a niche of their own. An excellent release, even better than their previous splendid effort, this will please fans of the aforementioned styles and bands, and music enthusiasts who like the idea of mingling those influences together to form an OE sound.